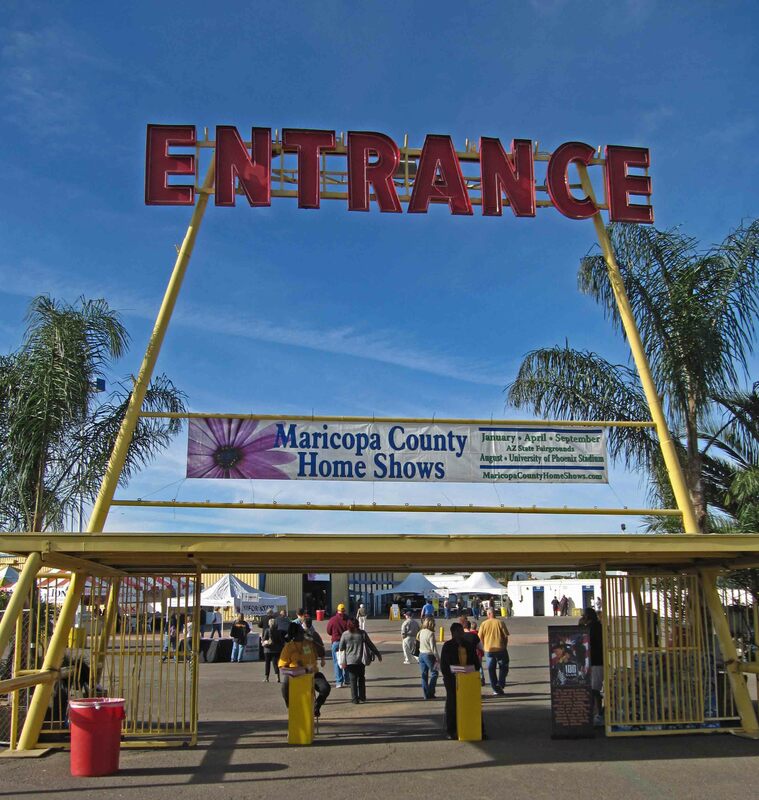 The 20th Annual Maricopa County Home and Garden Show, held at the Arizona State Fairgrounds, is a first for me and was filled with surprises. The range of displays was much wider than anticipated. The outdoor fountains and gas flame fire pits were interesting and expected, as were booths for outside house painters. A display for a retractable screen door might also be a nice addition and we could use a carpet cleaning service. More unexpected was the beautiful work of a California artist who specializes in fine art wall hangings. A Chandler travel agent offered some intriguing special deals. The most unexpected booths were those of financial planners. We purchased some Mean Green lens cleaner after an effective demonstration, and a lowering of price. The Arizona Republic offered a special rate along with two free tee shirts. My first Home & Garden Show will probably not be my last.